In Buffy, Willow Rosenberg was both Buffy and Xander’s best friend as well as the girlfriend of Oz, then Tara, and then Kennedy. Over seven years, she changed from a shy, introverted, and insecure “nerd” who was brilliant with computers into a confident lesbian and the most-powerful witch in the world even though she was also Jewish. The daughter of an oblivious, college-professor mother and a father who is never seen, Willow spent much of her childhood with Xander (on whom she had a crush), who also had a distant and unlikable family, since she was ignored by boys until her sophomore year of high school (Season 2). However, after the murder of the teacher of her computer class by Angel (as Angelus), techno-pagan Jenny Calendar, Willow becomes the substitute teacher and finds Calendar’s files on magic. Over the next four years, Willow learns more and more about magic and grows more powerful. In Season 6, she becomes addicted to magic and almost destroys the world in a depressed rage following the death of her girlfriend Tara. 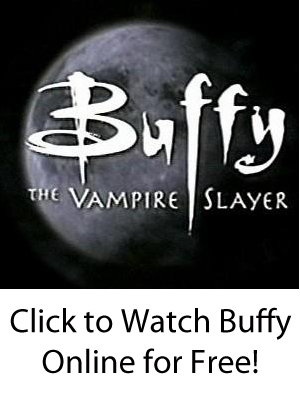 After Giles takes her to England for rehabilitation, Willow largely stops using magic until the end of the series, when she taps into her power to change the slayer line forever — instead of there being only one slayer at a time (like Buffy) and many potential ones, ever potential from then on would be a slayer with the same powers and abilities. Willow’s first (requited) love interest was Oz, a senior in high school who had also happened to be a werewolf. Although Oz saw Willow kissing Xander when the latter two thought they were going to be killed by Spike in Season 3, Oz eventually accepted her apology and took her back. However, in Season 4 in college, Oz left Sunnydale — leaving a broken-hearted Willow — because his werewolf side had made it become too dangerous for him to be around people. Later that year, Willow befriended Tara after meeting her in a college witchcraft group. Although Willow and Tara only practiced magic together at first, eventually their feelings blossomed into a deep, loving relationship that lasted until Warren accidentally shot and killed Tara while trying to kill Buffy. In Season 7, Willow formed a relationship with Kennedy, one of the potential slayers who had come to Sunnydale for protection. Both Willow and Kennedy survived the final battle.